"Penny" is new to Beautify My Blog! She'd make a lovely spring addition to your blog, to be sure! aaaah, Penny! I love it!!! Clearly the best design out there. haha. 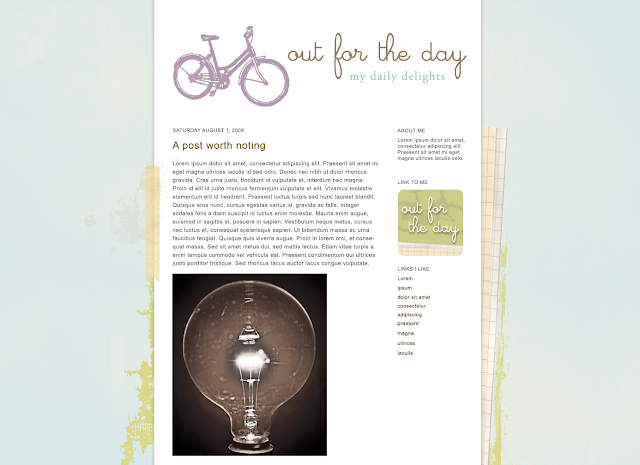 actually, i really would pick this one if i needed a new blog design. it's super cute. We missed you guys today. Hope all get feeling better soon.